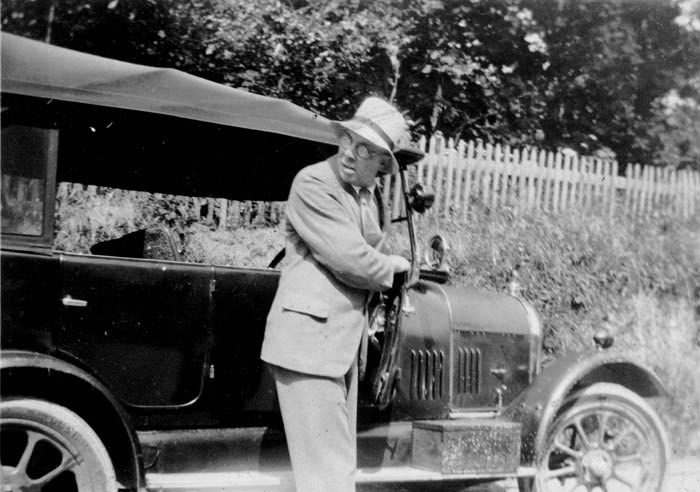 known as 'Doc', with his 'Bullnose' Morris. 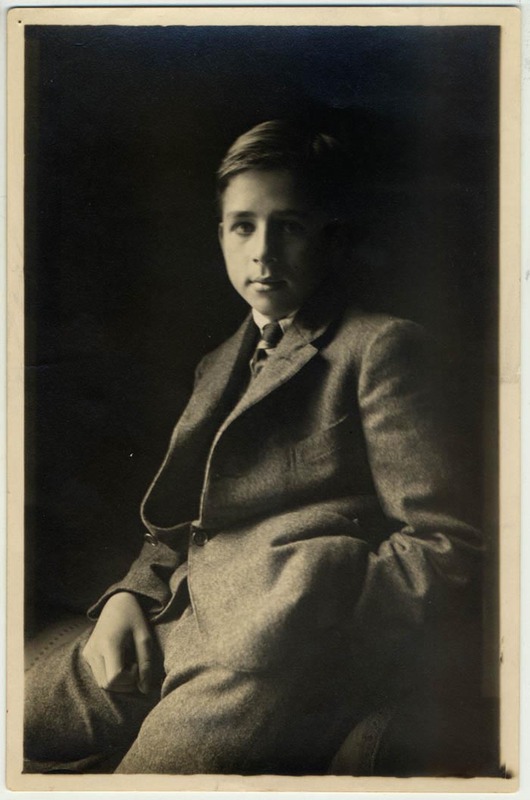 Straight after graduating in medicine from Edinburgh University in 1898 my grandfather, Ernest Cromwell Peake, known to the family as 'Doc', offered his services to the London Missionary Society. He was posted to China, and after a sixweek boat journey from England he sailed up the Yangtse from Shanghai to Yo-Chow (Yueyang in Pinyan). There he worked with other missionary doctors for a couple of years while learning Chinese. Then he proceeded into the heart of Hunan province, an area as yet closed to the outside world and a further six-week journey up the Hsing river. 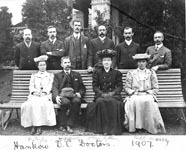 When he and a colleague set up their mission early in 1902 they were the sole Europeans in Hengchow (Hengyang), a city of some 250,000 inhabitants. These river journeys made a deep impression on Doc, and in his memoir, written almost fifty years later, he left vivid descriptions of them. The junk that he chartered had large painted eyes that it might clearly see its way, but it was the skill of the captain, the 'old plank' in Chinese, that kept them off the treacherous rocks and sandbanks. At one point a severe storm obliged them to take refuge in a creek for several days. 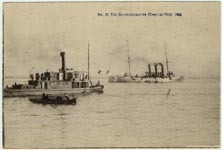 Whenever the wind failed the crew resorted to poling – punting on a large scale – or else hired shore-based 'trackers' to haul the vessel upstream. When Doc ventured into a riverside village he met none of the rudeness he had been told to expect. These rural Chinese had never seen a 'Western barbarian' before. 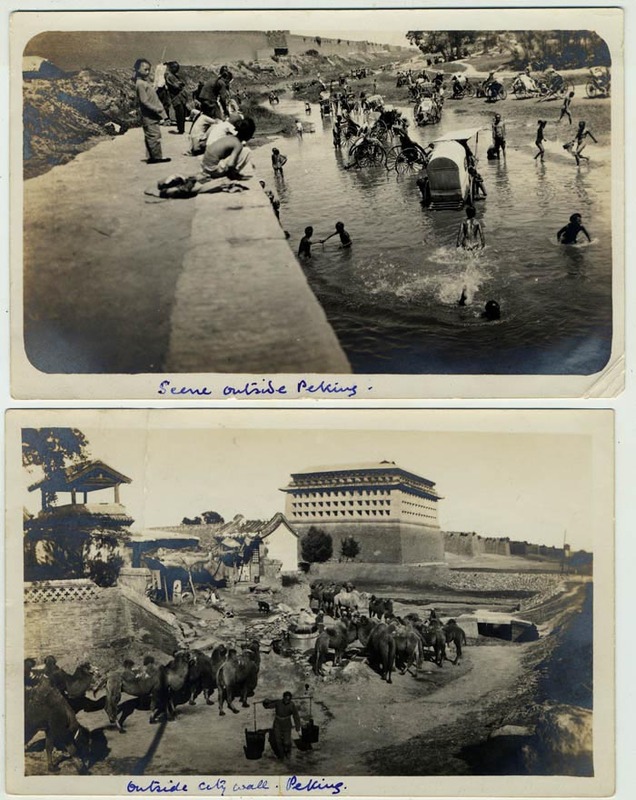 The men making furrows with wooden ploughs drawn by water-buffalo and the women kneeling on the riverbank to wash clothes were curious but not unfriendly. A man fishing with a cormorant reacted with wide-eyed amazement when he realized that Doc was watching him and responded to his polite salutation 'Have you had your rice?' with a wide grin. sedan chair, China early 20th century. 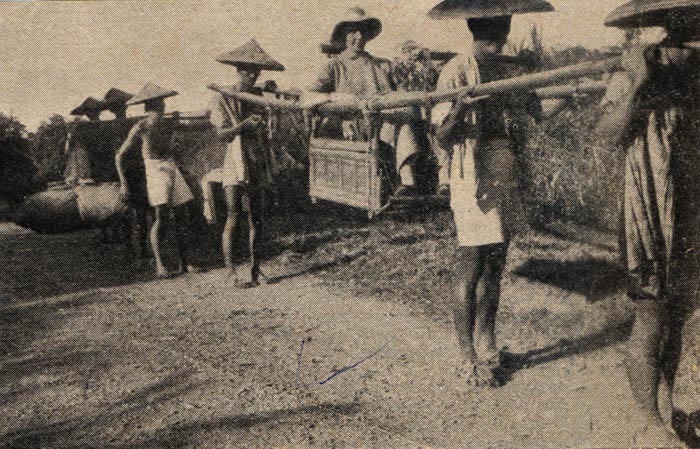 To explore the town, he purchased his own sedan chair and hired bearers. Having a latticed-curtain to let down, I was able to see without being observed. In this way I acquired a good idea of the city and of its wide extent. The tortuous streets, not more than ten feet in width, seemed always to be overcrowded and thick with the peculiar odour of spices and stale sweat. They were paved with stone, and down both sides of the roadway ran open sewers, whose odour permeated the atmosphere. The shops, without doors or glass fronts, opened directly on to the streets; a paving stone across the noisome drains functioned as a bridge for customers. I was struck by the number of street hawkers and by the variety of the wares which they carried suspended from the extremities of their bamboo poles. 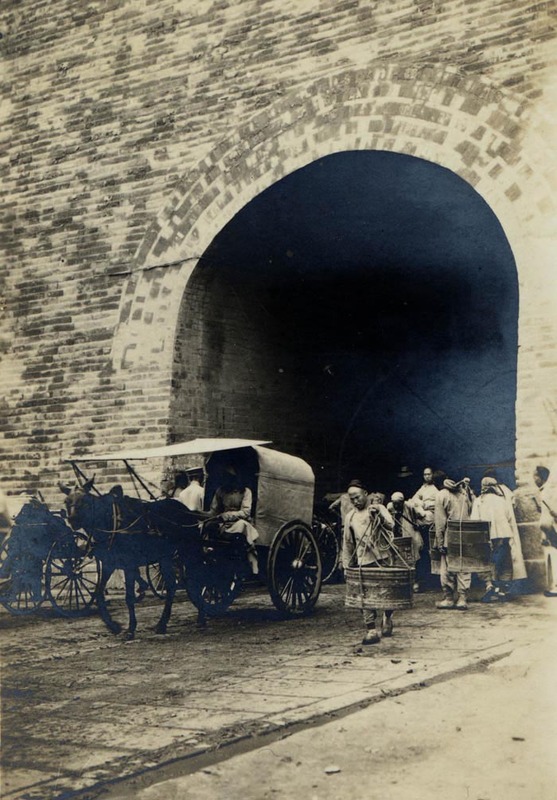 There were baskets, brushes, bundles of firewood, paper lanterns, palm-leaf fans, live fish and eels in tubs, goldfish, vegetables, melons and dates, edible bamboo shoots and lotus-lily seeds, peanuts, sweets and cakes, eggs, and even water for sale. Seated at the roadside there were letter-writers, story-tellers, puppet shows, barbers shaving heads and travelling cooks serving tasty bits from their portable stoves, with semi-naked children and mangy dogs sniffing around them. Blue predominated in the garments of both men and women; and gold was everywhere in the gilded hieroglyphics inscribed on the vertical shop signs suspended over the heads of the people. The men wore long loose gowns; some of silk but most of cotton. The sweating coolies were content to be as nature made them, except for a loin-cloth of cotton and sandals of plaited straw. The women, not many of whom were to be seen, wore very wide brightly coloured trousers, surmounted by loose tunics. They were contending against great odds in making their way through the turbulent crowd, and their difficulties were greatly increased by the fact that, owing to the pernicious custom of foot-binding, they could only hobble in a stiff and ungainly manner. Gaining the confidence of the local people took time, but eventually he set up a rudimentary practice, and patients, intimidated and hesitant at first, began seeking his medical advice. Further integration came after a successful cataract operation on a local scholar. With his sight restored, the good man sought out the blind and brought them in a long file to the surgery, each holding the pigtail of the man in front. 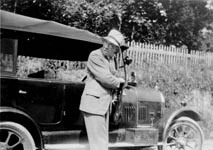 Doc's services were in increasing demand. 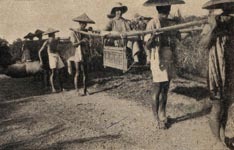 Each summer the European missionaries in central China retreated from the heat of the plains to the heights of Kuling. In his memoir Doc recalls how, after the five- or six-day journey down the Hsing river and then the Yangtse, bearers with palanquins would be waiting for them at to Kiukiang. 'The first ten or twelve miles crossed flat country bordering the river. It was very hot and steamy as we wound our way in and out between the rice fields. The rice, standing in several inches of water, was well grown and of a lovely green. Innumerable frogs croaked in its cool shade, and there were herons, looking strikingly in harmony with their environment and thoroughly contented with their feeding ground. Now and again we passed through tiny villages, where our chairs would be unceremoniously dumped down among the pigs and chickens. This gave us an opportunity to stretch our legs, while our sweating coolies imbibed copious draughts of tea. 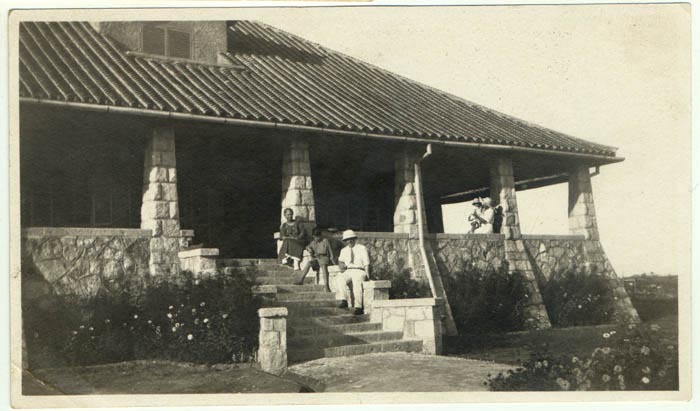 By midday we had reached the Rest House in the foothills, a picturesque wooden building ensconced in a bamboo grove. 'After lunch a fresh team of bearers attacked the ascent of the steep mountainside, climbing 3,500 feet in five miles. Roughly laid stone steps, 3 or 4 feet wide, formed a good track all the way up. The bearers were very sure-footed, but from time to time, when the steepness made it feel as though the palanquin were tilted on end, I preferred to climb on foot. It was hard going, but there was ample compensation in the wild scenery: deep glens, turbulent streams, and waterfalls. Clumps of bamboo, 50 to 40 feet in height, clothed many of the slopes, and in among the tall grasses were magnificent specimens of red and white tiger-lilies and trumpet lilies. 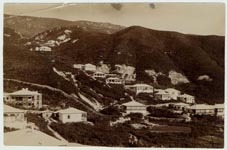 In the evening we reached our bungalow, one of several that the various Missions have disposed irregularly up the mountain slopes. Far below we could catch glimpses of the narrow path by which we had ascended and, beyond the green paddyfields of the plain, the broad Yangtse-Kiang. That night, for the first time for months, we slept under blankets, and without mosquito nets. son of Dr Lei, Dr. Peake's medical assistant. It was up at Kuling that Doc met his wife, my grandmother Beth, who was on leave from the Hong Kong mission. 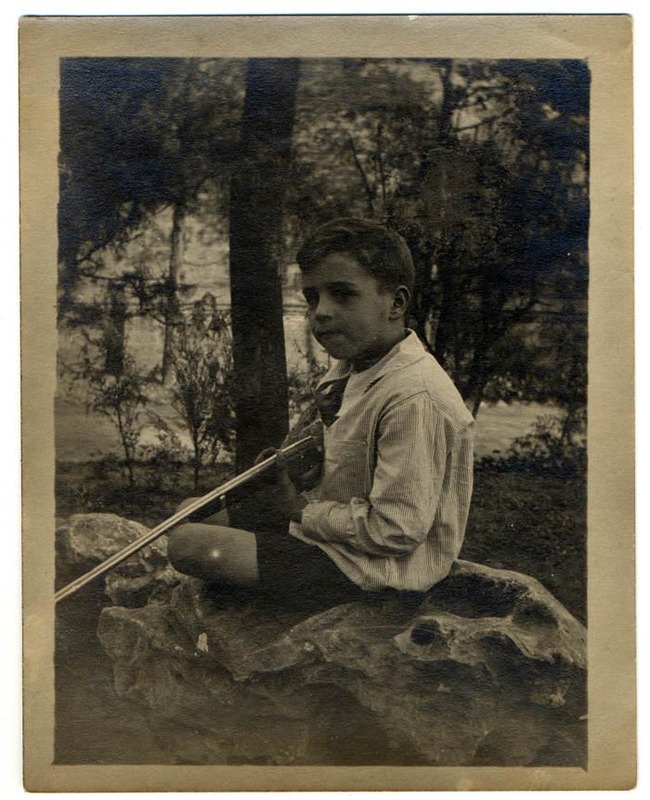 And it also up at Kuling that my father Mervyn was born in July 1911. That summer fighting broke out as the south of China threw off the Manchurian dynasty that had oppressed it for so long and became a republic under President Sun Yat-sen. The formal resignation of the Boy-Emperor took place early in 1912. 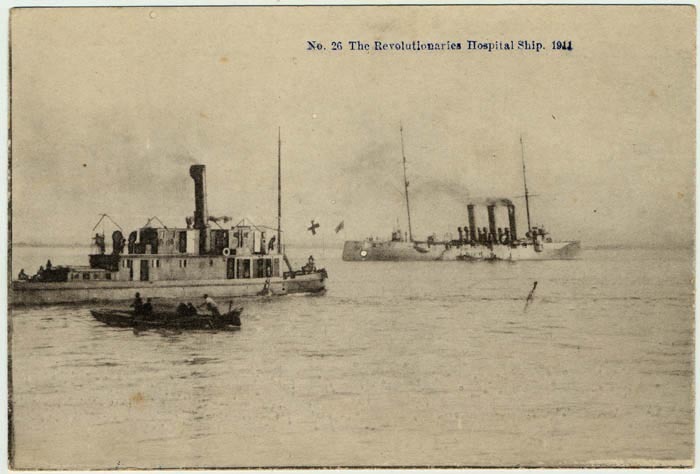 Soon after peace returned Doc was sent to take charge of the MacKenzie Memorial Hospital in Tientsin (Tianjin), eight hundred miles to the north. The city already had a population of over a million Chinese crowded within its narrow streets, plus large foreign Concessions. It was a major port, although the North River was 'a mere stream when compared with the Yangtse but deep enough for foreign vessels coming in on the tide'. 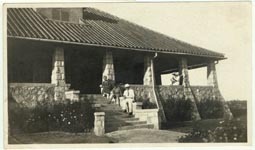 The hospital compound in the French Concession was to be their family home until the end of 1922, when they returned to England. For ten years Doc worked very hard, restoring the hospital buildings, training staff and, with the help of my grandmother, who served as matron, treating tens of thousands of patients. 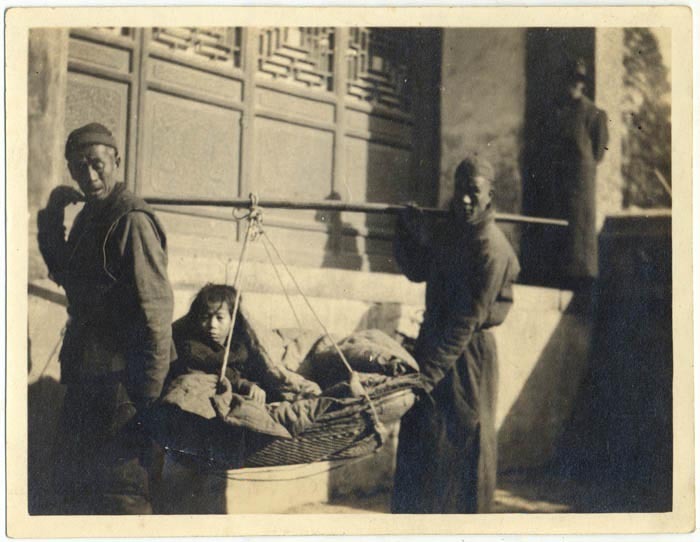 As suggested in my father's juvenile 'Letter from China' much of the work was surgical, for the Chinese of Tientsin had great faith in the curative power of the Westerners' scalpel. In the compound there were six grey-stone houses for the staff, all in a line, and in my father's memory they looked 'as though they had been flown over from Croydon'. He lived in the fourth, at the tennis-court end, and he 'loved that great grey house with two verandas, upstairs and down'. The compound where he played was his world, his 'arena', 'a world surrounded by a wall. And on the other side of the wall was China.' In one corner there was a tree under which he read Treasure Island. It remained a favourite story for the rest of his life. But the world of the compound, and the child that in memory he could see 'leaning over the warm handrail of the high veranda' was severed from him for ever. It seemed almost not to be a part of him, like 'some half-forgotten story in a book'. 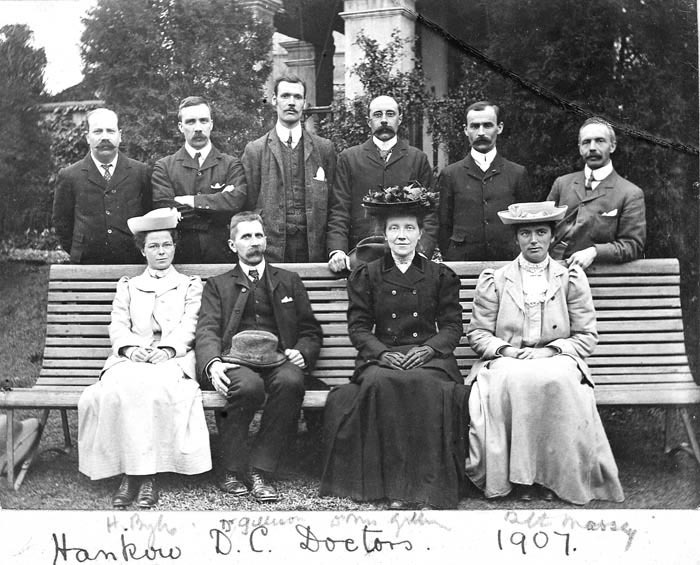 Missionaries, now Eltham College, 1924. 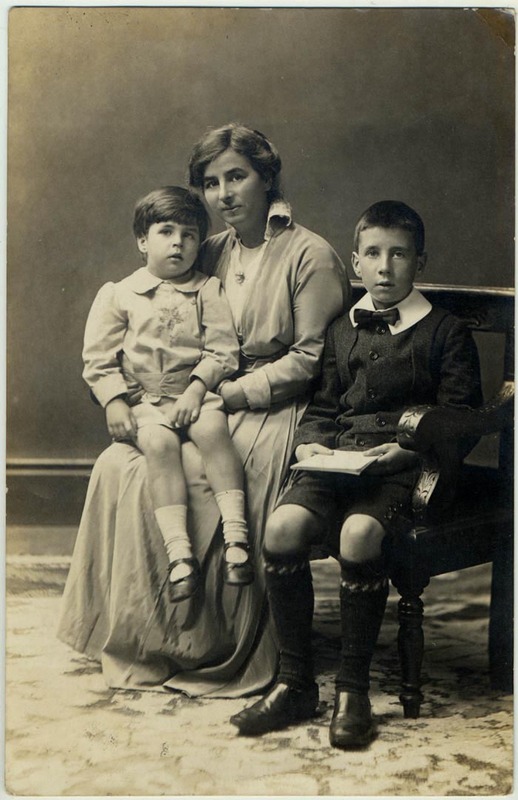 He was sent to the grammar school in the British Concession, riding there each morning on a donkey. 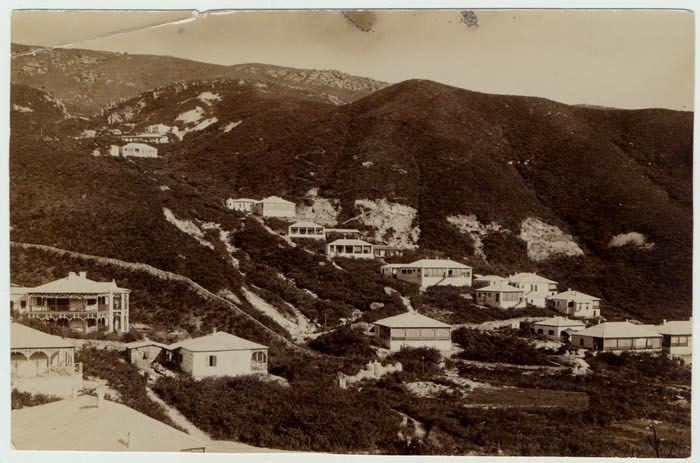 Most holidays were spent on the coast at Chefoo (Yantai), where his elder brother, my uncle Lonnie, was at boarding-school. 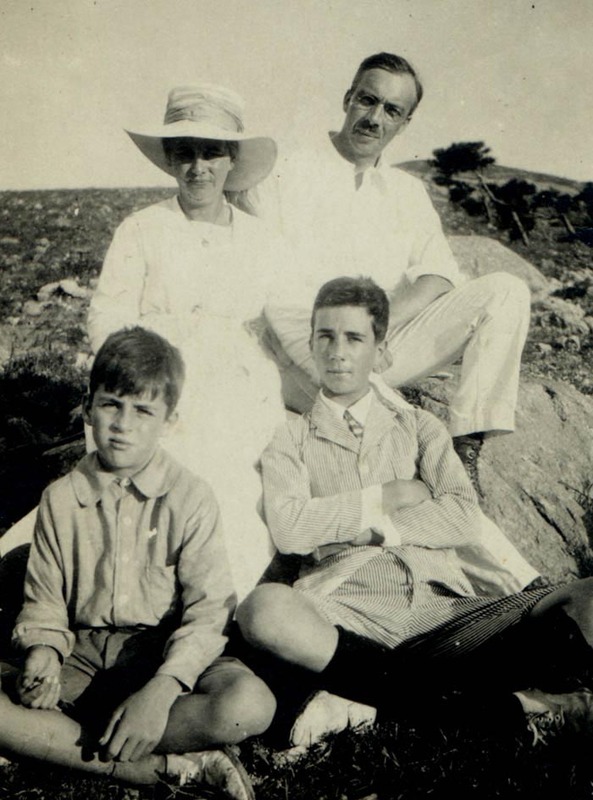 Only in the summer of 1919 did the family return to Kuling. My father often told me that Mandarin was his first language, for my grandparents had found a calligraphy expert to teach him the formation of Mandarin characters. When I misbehaved he would sometimes reprimand me with an expression remembered from his youth. On the rare occasion when I actually was good we would count from one to a hundred together in Mandarin, an ability I still retain. 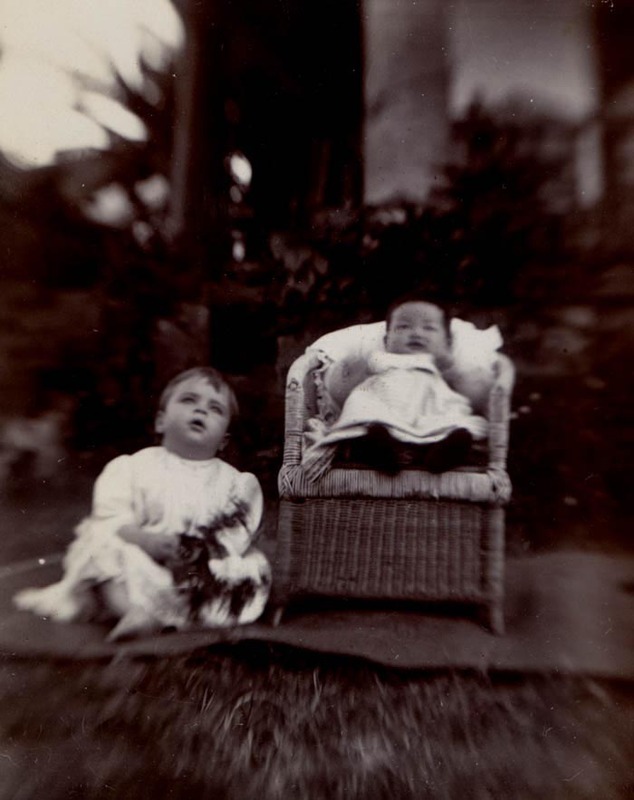 photograph taken by Dr Peake. to the city of Peking. Shortly after the enforced abdication of the Boy-Emperor, Doc had 'special opportunity of entrance into the Forbidden City and viewed the beautiful palaces, lotus lakes, and temples. But an air of sadness and desolation pervaded the whole place. No life stirred within the deserted precincts.' The ritual-bound life of the Emperors in a citadel cut off from the world may well have been a source of inspiration for Gormenghast. Each emperor seems to have added a temple or a courtyard, just as each earl contributed his building, until the castle became as large, as old, and as empty as the Eternal City. Be that as it may, the other sight that greatly impressed Doc certainly found its way into Titus Groan. The Chinese used to build avenues lined with massive sculptures of real and mythical creatures, along which the spirit of a dead emperor would journey to its resting place. Doc came across one such Spirit Way that he photographed. In the Hall of Bright Carvings at Gormenghast the sculptures are seen 'in narrowing perspective like the highway for an Emperor'. 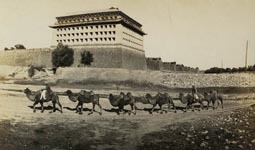 A Bactrian camel train outside the Peking city walls. My father never forgot his time in China. It remained a primary influence, a constant backdrop to much of his writing and painting, poetry and illustration. Of northern China he remembered the great trains of roped-together shaggy, bactrian camels, donkeys and mules, the silk-clad mandarins, the ubiquitous pigtail, temples and pagodas, sedan chairs and sweating coolies, blue-tiled roofscapes, ceramic dragons and, above all, the eternal rituals which still dominated Chinese life. All these left an indelible impression.